Words are like egg, if broken it can never be gathered as whole again. 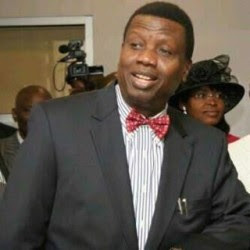 And it is in this light that the General Overseer of Redeemed Christian Church of God, Pastor Enoch Adeboye, has explained that he is careful in making public comments to avoid mistakes that would cause trouble.He said it is frightening to comment about the many problems confronting Nigeria because you may be seen as supporting one party and appear against the other party; people read meanings to everything. In a chat with Haaretz newspaper during a visit to Jerusalem, Pastor Adeboye said: “At times it’s frightening. In Africa you have a saying, the man who is carrying a basket of eggs must walk gently…whatever mistakes you make, you affect destinies.” The respected minister of the Gospel also spoke on his transformation from a Mathematics lecturer at the University of Lagos to a pastor, saying “I’ve always said turning a mathematician into a pastor takes only God. In my work with God, I’ve learned that he has a sense of humour.” Speaking on the growing global influence of African preachers, at a meeting in Jerusalem, Pastor Adeboye said the seeds sowed by missionaries who brought Christianity to Africa were producing fruit. “When you reap, after a certain period you begin to sow. Today, in many parts of the Western world, people have gone rather cold toward the church. Fortunately, the seed sowed in Africa has germinated and the harvest is now coming back to them. So, they are merely reaping what they sowed,” he said.